Cuisinart Classic Toaster Oven Just $59.99! Down From $145! PLUS FREE Shipping! You are here: Home / Great Deals / Amazon Deals / Cuisinart Classic Toaster Oven Just $59.99! Down From $145! PLUS FREE Shipping! Don’t miss this amazing deal from Amazon! Grab this Cuisinart Classic Toaster Oven for only $59.99, down from $145.00, PLUS FREE shipping! 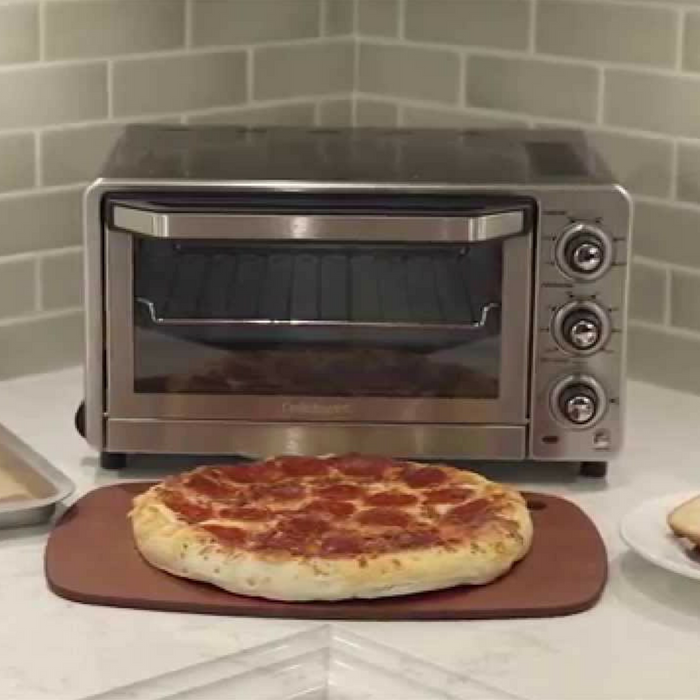 The Cuisinart Classic Toaster Oven is large enough and smart enough to present a full range of menu options. Toast four bagel halves, bake an 11-inch pizza, or broil two big open-faced sandwiches. The Always Even Shade Control monitors the temperature and adjusts the timing to consistently toast to the shade selected every time. A convenient auto slide-out rack provides hands-free loading and easy removal of cooked foods. When the cooking is done, its easy to clean with its reflective nonstick coating on the oven’s interior that wipes clean in seconds, which enhances heat efficiency and ensures even toasting!